Be a Miracle Maker with Speedway this July! Since 1991 Speedway has been an incredible partner to Children’s Miracle Network Hospitals. Serving 58 CMN hospitals across the country, Speedway works tirelessly to help bring miracles to local children and their families year-round through fundraising efforts in store and in their local communities. Orlando Health Arnold Palmer Hospital for Children is lucky enough to be one of these 58 hospitals that Speedway supports. In fact, right here in Central Florida we have 41 Speedway locations that give back for the kids each and every day! Through point of sale register fundraising, round up campaigns, and hosting different awareness events, we are lucky to have partners like our Central Florida Speedway stores who make such a positive impact for our patients. Being the largest convenience store contributor to CMN Hospitals, Speedway has contributed more than $90 million to date. In fact, last year alone they raised $10.9 million across the nation – a record for Speedway stores! In Central Florida, Speedway reached a milestone in raising over $100,000 for more than 135,000 patients treated at Orlando Health Arnold Palmer. The passion, dedication, and enthusiasm our stores have for the patients, families, and doctors is indescribable. We cannot thank all of our Speedway associates enough for all that they do to Orlando Health Arnold Palmer’s greatest areas of need each year. Whether you are traveling to the coast or to the theme parks, make sure you stop by one of our 41 locations this summer. In fact, you could even make a donation this month in store for Orlando Health Arnold Palmer. Starting July 27, Central Florida Speedway stores will be running a weekend campaign to help bring awareness and raise funds for our local Children’s Miracle Network hospital. Be sure to stop in from July 27 through July 29 for a Speedway treat and to make your donation. 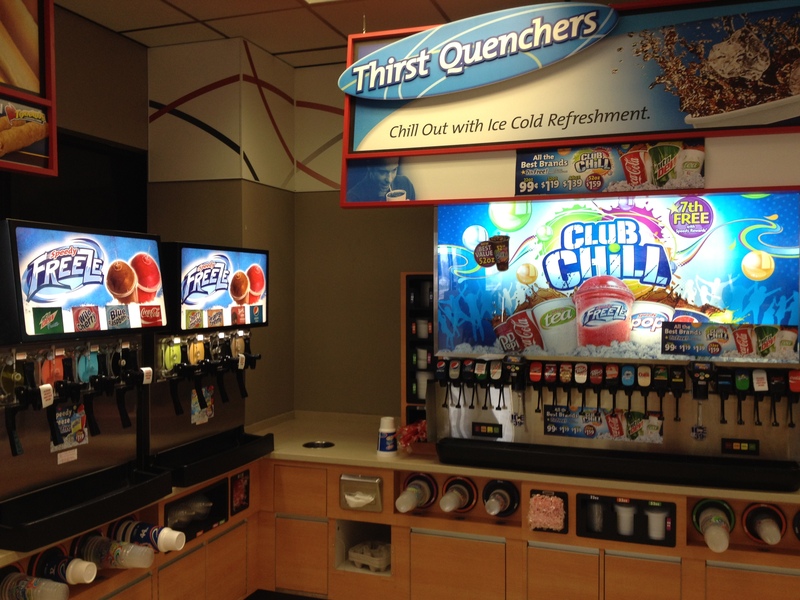 With the summer heat, there is always a reason to stop in for a Speedway freeze! Why not reward yourself, and help the kids!